JOHN AND SHANNON HAMMAR will be your hosts and class leaders. They look forward to meeting you and helping you through this valuable series of classes. 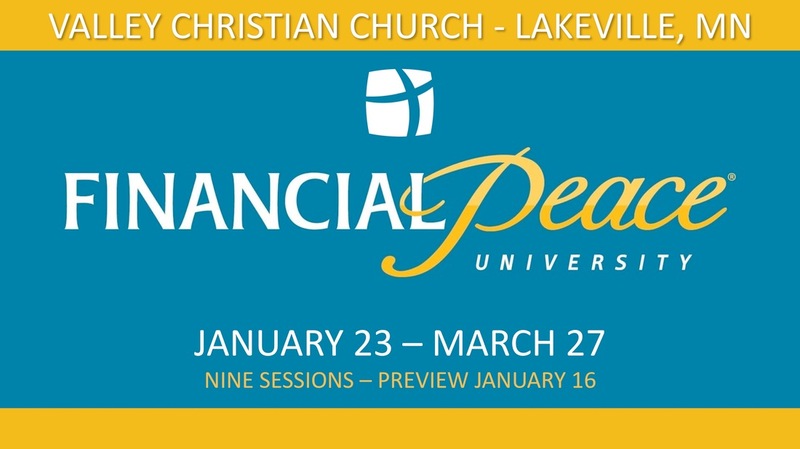 They know from personal experience just how helpful this course can be toward helping families get a handle on their personal finances and stewardship. If you have questions feel free to contact them using the contact form in the right column of this page. Cost for the class materials is $100 for the first five couples or individuals who register using our contact form. The course will be open to the first 12 couples or individuals who register. Register right away to secure your place in the class. The complete schedule for the course is listed below. Open to the public. Childcare and programs for children and youth will be available. There will be a preview session on Wednesday, January 16, 6:30pm. The class meets on Wednesdays at 6:30pm, January 23 through March 27. Please note that the class will not be meeting on Wednesday, March 6th due to Ash Wednesday. COST: $100 for the first five couples or individuals to register. Additional registrants will need to purchase their class materials online.